Yet for nearly 10 weeks stores have been decorated and drawing attention to their Halloween merchandise. They have been reminding us for over two months of these very important few hours. And because of our cultures impressive advertising, we have been anticipating Halloween for weeks. We have been planning costumes, decorations, food and the very important candy selection. But just like that, it’s over. Months of preparation and in a few hours it’s over. Because about two weeks ago, in the middle of October, again about 10 weeks early, CHRISTMAS ARRIVED! Stores are now filled with jingle bells, Santa Clause, and the infamous elf on the shelf. Now don’t get me wrong. I absolutely LOVE Christmas time! All the sights, smells, tastes and sounds just flood my senses with memories and remind me of the reason why we celebrate this holiday. But let’s take a step back and look at our culture, at our calendars, and at our priorities; what are we anticipating? Maybe it is Christmas for you at this point, or a much needed vacation or upcoming event. When I hear the word Anticipation, I am quick to first assume it’s a good thing, but we all can think of times in our lives, maybe that time is right now, when we have anticipated something bad, something painful or disappointing. And even for the bad, we prepare. Our anticipation leads to a consuming mentality. All areas of our life are related to what we are anticipating. It so often dictates how we spend our time, money and talents. And as with so many things, this isn’t all bad. Anticipation helps us prepare and plan for what’s ahead. But again, I want us all to take a step back and look at our culture, calendars and priorities. What is it you are anticipating right now? What is consuming your mind today? How different would your day look if your anticipation turned from this world to what’s to come after this world? Francis Chan has a great illustration that a dear friend reminded me of the other day. He holds out a rope and draws a small dot on the rope. Then he explains that the dot is our life. It’s nothing in light of eternity. That’s the extent of our time here on earth. Right now, wherever you are, take a moment and think of His love for you. Think of the sacrifice He made for you by sending His Son to die the death you and I deserved on the cross so we can come into a personal relationship with Him. Now think about eternity. 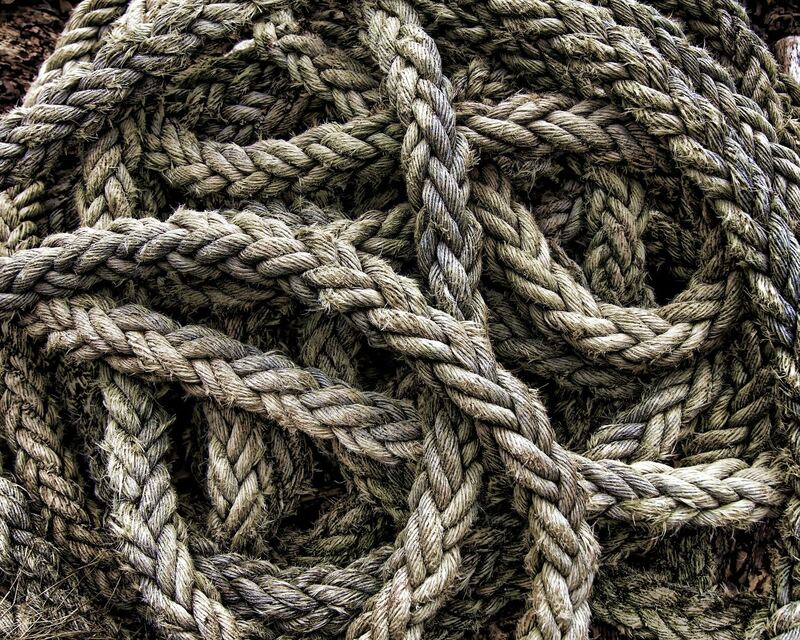 Think about the rest of the rope…a rope that has no end. Does your brain hurt yet? We can’t comprehend it. But we can anticipate it. Unlike anything here on earth, eternity with the Lord is something we can anticipate all of our lives. We can allow it to impact our culture, our calendars and our priorities. And then when it comes, trust me, it will be worth it. And it will last a lot longer than a few hours, or a few days. And the years we spent anticipating it will prayerfully impact the eternities of so many others. So right now, in the midst of these holiday filled months, will you join me in making eternity with Christ the number one thing you are anticipating? All the other things in life will be ok, God’s in control. At the end of your short dot, you won’t regret the time you invested in eternity. You won’t regret those conversations you had with your neighbor or co-workers about God’s love for them. You won’t regret the time you spent volunteering in children’s Sunday School or greeting that new face at Church on Sunday morning. You won’t regret choosing to keep some things simple so you don’t lose sight of what’s important…of what’s truly worth anticipating.